The majority of researchers agree that olfactory cues play a dominant role in our perception and enjoyment of the taste (or rather flavour) of food and drink. It is no surprise then that in recent years, a variety of modern (or dare we say it, modernist) solutions have been developed with the explicit aim of delivering an enhanced olfactory input to the diners/dishes served in the restaurant, and occasionally also in the home setting too. Such innovations include everything from aromatic cutlery and plateware through to the use of atomizers and dry ice. A few augmented reality (AR; i.e. an experience of a physical, real-world environment whose elements have been augmented, or supplemented, by computer-generated sensory input) solutions have also made their wayn out from well-funded technology labs, and scent-enabled plug-ins for mobile devices are slowly being commercialized. 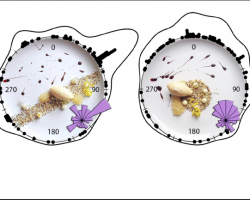 The latter could potentially be used to enhance the orthonasal olfactory component of our multisensory food experiences in the years to come. 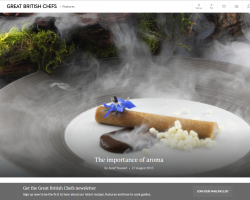 Ultimately, though, there is an important question here as to the authenticity of those food and flavour experiences that have been augmented/enhanced by aroma and fragrance cues that are not integral to the food or drink itself. 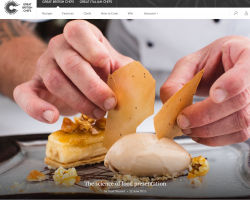 It is this lack of authenticity that may, at least in your authors’ humble opinion, limit the more widespread uptake of such a sense-by-sense approach to the contemporary construction of multisensory gastronomic experiences. The challenge, as always, remains to find the unique selling point (USP) of such approaches to olfactory stimulation, over and above their mere feasibility and inherent theatricality.